Palestinian prisoner Issa Awad, aged 21, has been on an open-ended hunger strike for the seventh day running, protesting his imprisonment without charge or trial in Israeli occupation jails. Prisoner Awad has been detained by the Israeli occupation authorities since May 17, 2018 and sentenced to nine months. His prison-term was set be ended on January but the Israeli occupation sentenced him administratively, with neither charge nor trial, just a few days before his expected release. Awad was arrested by the Israeli occupation forces after he was injured. He had spent two years and a half in Israeli prisons. He is currently locked up in the Nafha desert jail. Israeli naval forces detained a 22-year-old Palestinian fisherman while working off the coast of the northern besieged Gaza Strip, on late Sunday. The Head of the Palestinian Fishermen Union in Gaza, Zakariya Bakr, confirmed that Israeli authorities informed the family of the fisherman, Muhammad Hussam Bakr, 22, of his detention while working off the coast in northern Gaza. The reason for Muhammad’s detention remained unknown. As part of Israel's blockade of the coastal enclave since 2007, the Israeli army, citing security concerns, requires Palestinian fishermen to work within a limited "designated fishing zone," the exact limits of which are decided by the Israeli authorities and have historically fluctuated. The Israeli army regularly detains and opens fire on unarmed Palestinian fishermen, shepherds, and farmers along the border areas if they approach the unilaterally declared buffer zone. 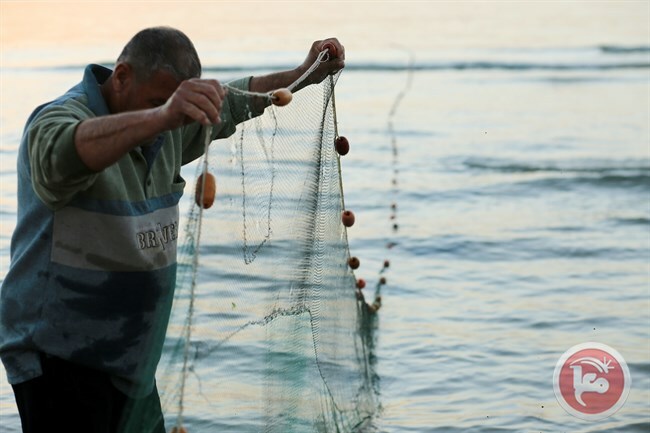 Israeli human rights group B'Tselem recently concluded that Israel's Gaza closure and "harassment of fishermen" have been "destroying Gaza's fishing sector," with 95% of fishermen living below the poverty line. Israel’s Metzada unit stormed on Monday section 15 in the Ofer jail, where Palestinian prisoners are locked up. The prisoners’ media office said tension has been running high in the Israeli Ofer jail after the Metzada suppressive forces broke into Section 15 and cracked down on the detainees. On Sunday, Israel’s suppressive units broke into Section 17 at Ofer jail and wreaked havoc on Palestinian prison cells. Over 6,000 Palestinian prisoners, including 350 from Gaza, are locked up in Israeli penitentiaries, where they have been denied their basic human rights, most notably the right to family visits. At least 206 Palestinian detainees died in Israeli occupation jails owing to preplanned medical neglect and torture. Dozens of Israeli soldiers attacked, on Monday evening, dozens of Palestinian detainees in Ofar Israeli prison, near Ramallah in the central West Bank, and fired many rubber-coated steel bullets, gas bombs and concussion grenades. They also hit the detainees with batons and used military dogs to attack them, wounding more than 100 detainees. The Palestinian Prisoners’ Society (PPS) has reported that the soldiers began invasions and massive searches of the detainees’ rooms in the early morning hours on Monday, and assaulted many detainees, leading to protests by the imprisoned men. The PPS added that the soldiers started firing rubber-coated steel bullets, gas bombs and concussion grenades, in addition to striking many detainees with batons and unleashing their dogs on them. At least 100 detainees were injured, mainly after being shot with rubber-coated steel bullets from close range in their cells, before a number of them were moved to several Israeli hospitals. Most of the wounded detainees were later return to the prison, while around twenty of them remained hospitalized fur further treatment. At least three cells were burned during the Israeli invasions into them, possibly resulting from the firing of tear gas canisters at close range when the special prison forces stormed many of the cells. The invasions into the cells came just one day after the soldiers stormed sections 17 and 15 of the prison, forcing the detainees out, and assaulted them while searching their rooms. There are approximately 1200 Palestinian political prisoners held at the facility. The invasions and assaults were carried out by undercover Israeli soldiers from various units, including Dror, Metzada and Yamam units. The special forces targeted all ten sections of the prison, including the children’s branch. The PPS stated that, in response to the invasions and assaults, the detainees have decided to send back their meals and barricade themselves in their cells. They are considering further measures, which could include a comprehensive hunger strike. Furthermore, the PPS stated that this invasion and assault is the most violent in ten years, and warned that Israel might be planning further escalation against the detainees, under direct orders from Public Security Minister Gilad Erdan. It warned that such an escalation could lead to fatalities among the detainees, due to the excessive use of force by the soldiers, similar to what happened at the Negev Detention Camp in 2007, when the soldiers shot and killed a detainee, identified as Mohammad al-Ashqar. The PPS called on various human rights groups, including the International Red Cross, to intervene and demand that Israel stop escalating their violations against the detainees. 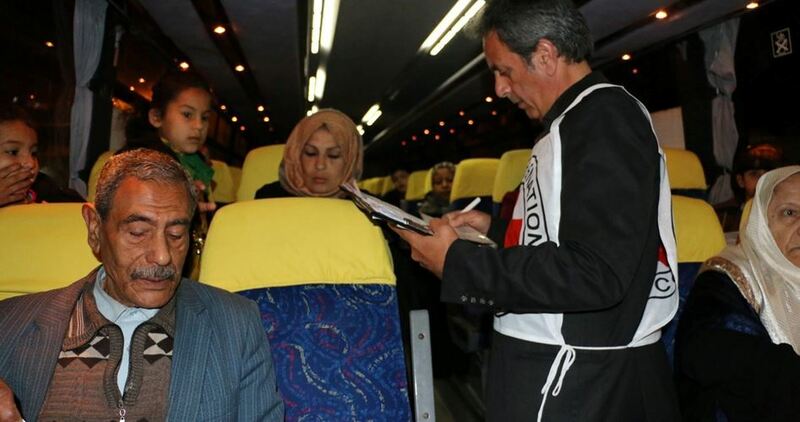 A small batch of Gazan families was allowed access out of the besieged Gaza Strip on Monday to visit their relatives held in an Israeli prison. Spokeswoman for the International Red Cross Committee, Suheer Zaqout, said 19 Palestinians from the blockaded Gaza Strip, among them four children below the age of 16, headed to Ramon jail, via Beit Hanun border-crossing, to visit nine Palestinian detainees. Israeli forces detained at least 23 Palestinians, including an attorney, across the occupied West Bank, on predawn Monday. According to Palestine Prisoner’s Society (PPS), Israeli forces detained five Palestinians in the southern West Bank district of Hebron. They were identified as Zaher Yasser Musalma, Sari Salah al-Faroukh, Amar Muhammad Juwabra, Shawqi al-Khatib, and Mahmoud Jawad al-Wawwi. 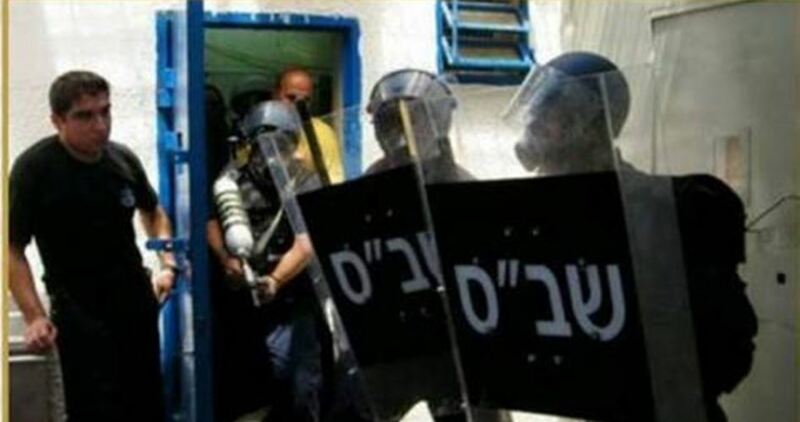 In the southern West Bank district of Bethlehem, three Palestinians were detained. They were identified as Shaher Issa Taqatqa, Ahmad Khaled Taqatqa, and Iyad Ahmad Taqatqa. 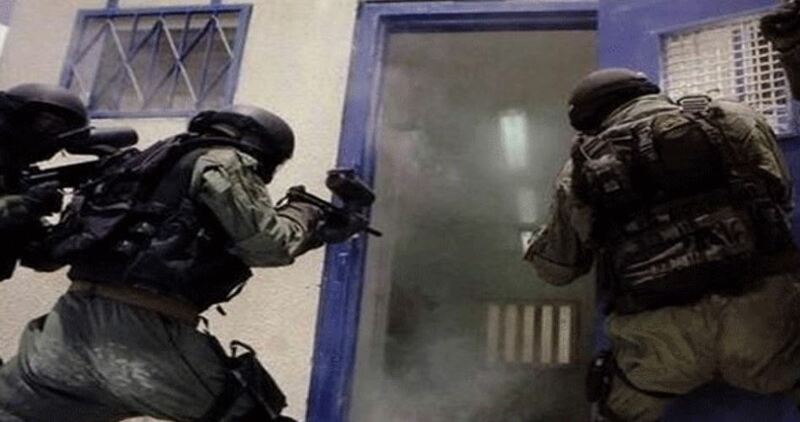 PPS confirmed that Israeli forces raided a Palestinian home in the central West Bank district of Jericho and detained two brothers. They were identified as Muhammad and Haitham Kamal Shalalfe. In addition, Israeli soldiers seized about 10,000 shekels ($2,707) from their home. Eleven Palestinians were detained by Israeli forces in the central West Bank district of Ramallah. PPS identified them as Asaad Nimer Mufarja, 21, Ibrahim Ayoub Zahran, 20, Adi Nakhle, 20, Assem Ahmad Abu Alya, Mutasem Abu Alya, Hamdi Zyad Abu Alya, Jumaa Raqad Abu Alya, Hamdi Jumaa Naasan, Mahmoud Abdullah Muhammad, Muhammad Odeh Lidadwe, and Ahmad Abdullah Abu Alya. Israeli forces also detained Palestinian attorney, Aman Mansour, in the northern West Bank district of Nablus, however, released her shortly afterwards. In the same district, another Palestinian was detained and identified as Majdi al-Qatab. According to prisoners rights group Addameer, there are 5,500 Palestinian prisoners being held in Israeli prisons, of whom 54 are female prisoners. Israeli soldiers invaded, on Monday at dawn, several Palestinian areas in the occupied West Bank, searched and ransacked homes, and abducted twenty Palestinians, including a lawyer and the wife of a political prisoner. 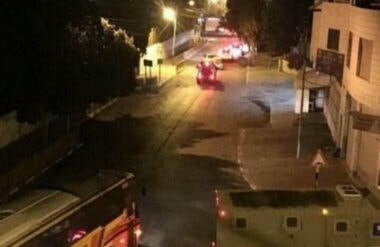 Media sources in Nablus, in northern West Bank, said the soldiers invaded and ransacked the home of a political prisoner, identified as Amir Eshteyya, and abducted his wife, attorney Aman Mansour, in addition to confiscating their car. The invasion into the property came as dozens of soldiers, and hundreds of illegal colonialist settlers, invaded the eastern area of Nablus city, especially Joseph Tomb, before the army fired many live rounds, rubber-coated steel bullets and gas bombs at dozens of Palestinian protesters. Medical sources said the soldiers shot two young men with live fire, and caused dozens of Palestinians, including many in their own homes, to suffer the effects of teargas inhalation. The soldiers also detained Palestinian journalists and prevented them from documenting the invasion. Furthermore, the soldiers invaded Qarawat Bani Hassan village, in Salfit governorate in central West Bank, searched homes and abducted Laith Abdullah Mer’ey. The soldiers also invaded and searched homes in Kufur Qaddoum town, east of the northern West Bank city of Qalqilia, and abducted Mohammad Sameeh Eshteiwi. In addition, several army jeeps invaded Beit Fajjar town, south of Bethlehem, searched many homes, and abducted a former political prisoner, identified as Shaher Issa Taqatqa, in addition to Ahmad Khaled Taqatqa and Eyad Hamad. The soldiers also invaded Teqoua’ village, east of Bethlehem, and drove in its streets and neighborhoods. In Ramallah governorate, in central West Bank, the soldiers searched homes in Abu Shkheidim village, north of Ramallah city, and abducted Mohammad Odah Ladadwa, in addition to Ibrahim Ayyoub Ma’rouf, who was taken prisoner from his home in Deir Abu Mashal town, west of Ramallah. Also in Ramallah, dozens of soldiers invaded the al-Mughayyir village, east of the city, violently searched several homes and abducted Mo’tasem Abu Alia, Hamdi Na’san, Jom’a Raqqad Abu Alia, Assem Abu Alia, Mahmoud Abdullah al-Haj, in addition to Mohammad and Ahmad Abu Alia. A similar invasion targeted Kufur Ni’ma village, west of Ramallah. 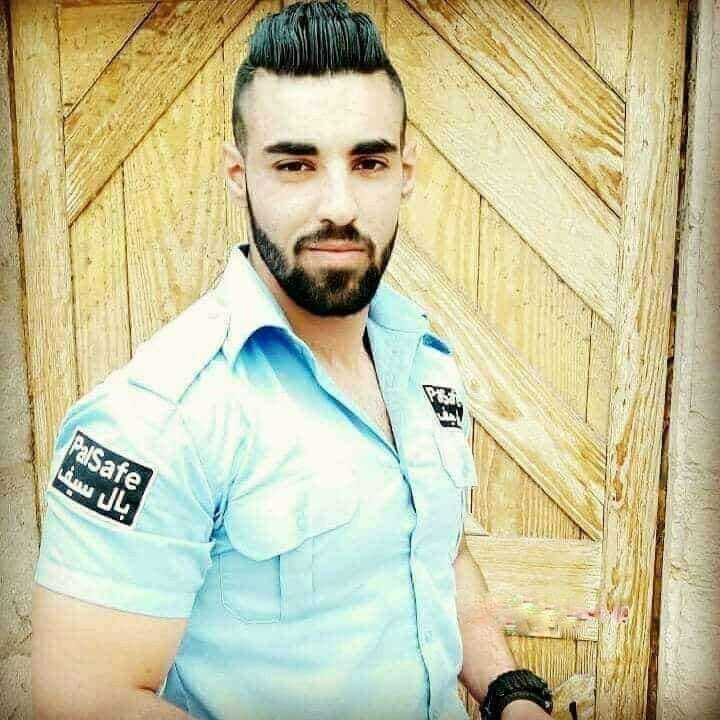 In Hebron, in southern West Bank, the soldiers invaded the al-‘Arroub refugee camp, north of the city, searched several homes, and abducted Ammad Mohammad Jawabra and Shawqi Khatib, in addition to Mohammad Jawad al-Wawi, who was taken prisoner from his home in Halhoul town, also north of Hebron. In Jericho, the soldiers searched homes and abducted Haitham Kamal Shalalfa and Mohammad Kamel Shalalfa, from Fasayel Palestinian village. It is worth mentioning that dozens of soldiers also invaded Jayyous town, east of the northern West Bank city of Qalqilia, and distributed leaflets warning the resident of further severe measures, if they do not stop protesting the ongoing Israeli occupation and violations. 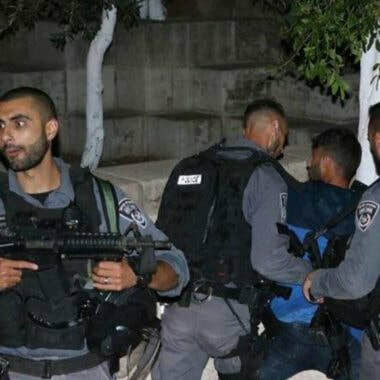 Israeli soldiers abducted, on Sunday at night, four young Palestinian men in Silwan town, south of the Al-Aqsa Mosque in occupied Jerusalem, after assaulting and wounding them. 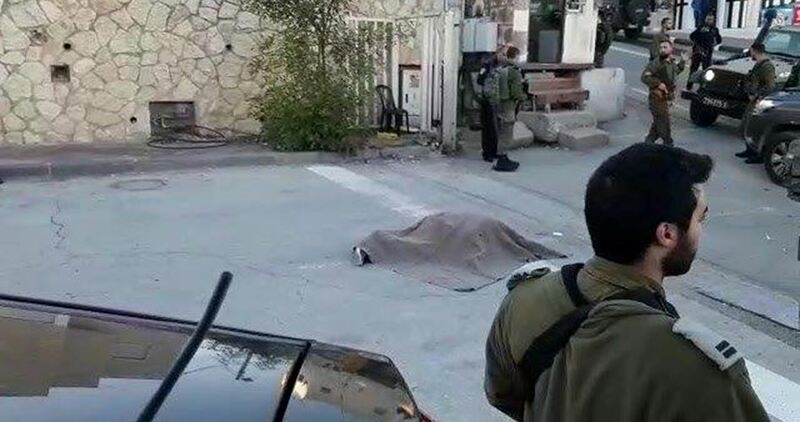 The Wadi Hilweh Information Center in Silwan (Silwanic) said the soldiers assaulted and injured Tha’er Maswada, Nour Asfour, Montaser Siyam and Yazan Siyam, after invading their homes, and ransacking them, in Wadi Hilweh neighborhood. It added that the soldiers repeatedly assaulted the four young men before abducting them, causing various cuts and bruises. It is worth mentioning that the soldiers also invaded Silwanic, and the home of its director Jawad Siyam, and took measurements of the two properties, under the allegation of calculating property taxes. Several armored Israeli military jeeps invaded, on Sunday at night, the eastern areas of the northern west Bank city of Nablus, injured one Palestinian with live fire and caused many others to suffer the effects of teargas inhalation. Media sources in Nablus said the military vehicles, accompanied by an armored bulldozer, invaded the areas surrounding Joseph’s Tomb area in Nablus, especially Amman Street, to provide protection for buses of illegal colonialist settlers visiting the site. They added that many Palestinians hurled stones at the soldiers who fired many live rounds, rubber-coated steel bullets and gas bombs. Medical sources said one Palestinian was shot with a live round in his thigh, before he was rushed to Rafidia Hospital in a moderate-but-stable condition, while many others suffered the effects of teargas inhalation. While the biblical Patriarch Joseph is revered by Jews, Muslims, Christians, and Samaritans alike, the Israeli army allows Jews to visit as part of organized pilgrimages, despite the site being in Area A, under full Palestinian control. Many Palestinians believe Joseph’s Tomb is the funerary monument to Sheikh Yousef Dweikat, a local religious figure. The Palestinian Detainees and Ex-Detainees Affairs Commission on Sunday said that the injured Palestinian prisoner Sufian Skafi, 35, who is currently held at Shaare Zedek Hospital, is in stable condition. The commission's lawyer Karim Ajwa said that Skafi was discharged from the intensive care unit following a bullet removal surgery. Skafi was shot by the Israeli occupation forces in the abdomen and legs on 11th January before he was kidnapped in al-Khalil. Ajwa said that a court hearing was held at Ofer on Tuesday, which Skafi did not attend, and it was decided to extend his detention for eight days "pending investigation". The Israeli army and police have issued orders targeting five guards of the Al-Aqsa Mosque, in occupied Jerusalem, and one Fateh movement official, denying them access to the holy site for periods ranging between four and six months. Firas ad-Dibis, the head of the Waqf and Islamic Endowment Department, said the soldiers handed the warrants to the five guards, identified as Fadi Oleyyan, Lu’ay Abu as-Sa’ad and Ahmad Abu Alia, denying them access to the mosque and its compound for six months, in addition to Salman Abu Mayyala, who received an order for four months. He added that the army also handed a six-month order denying Awad Salayma, a member of the regional Council of Fateh movement, access to Al-Aqsa for six months. Sheikh Azzam Khatib, the general director of the Jerusalem endowment and al-Aqsa mosque affairs department, slammed the Israeli orders, describing them as arbitrary and illegal. 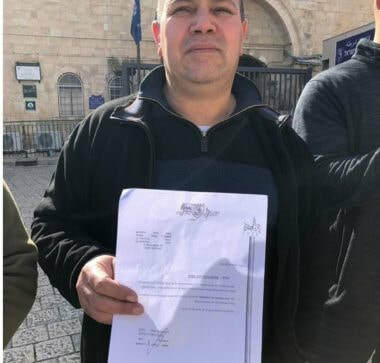 He stated that the army and the police are punishing civilian workers who serve in the Al-Aqsa compound, and are just carrying vindictive acts against them for intercepting the provocative tours of dozens of colonialist settlers, and armed soldiers, into the holy site. Khatib added that Jordan was informed about the latest violation, and that the department will be filing appeals against the illegal warrants. Last week, the soldiers summoned for interrogation many guards of the Al-Aqsa Mosque, especially after the police closed the Dome of the Rock mosque, Monday, and prevented the guards from entering it. Israeli soldiers abducted, on Sunday at dawn, a young Palestinian man from Beit Doqqo village, northwest of occupied East Jerusalem. Media sources said the soldiers invaded the village, before breaking into the home of Hussein Adel Badr, and violently searched it, before abducting him. They added that the soldiers cuffed and blindfolded the young man, before moving him to an interrogation facility in the occupied city. It is worth mentioning that the soldiers invaded many communities across the West Bank, searched homes and installed roadblocks. Israeli prison forces stormed at dawn Sunday section 7 of the Ofer jail, brutalized prisoners and ransacked their cells. According to the Palestinian Commission of Detainees’ and Ex-Detainees’ Affairs, the prison forces shut down 10 sections in the jail following the raid on section 7, which led to a state of tension between the prisoners and jailers. Consequently, the angry prisoners in all sections refused to take meals in protest at the search operation. The Islamic Resistance Movement, Hamas, on Saturday denied reports about any new progress in the talks on a second prisoner swap deal with Israel. Hamas's spokesman Fawzi Barhoum said on Twitter, "There is nothing new in the prisoners file, and Israel is not ready to conclude a new prisoner exchange deal." Barhoum affirmed that the freedom of Palestinian prisoners held in Israeli jails is a top priority to his movement, stressing that Hamas will remain loyal to their sacrifices. 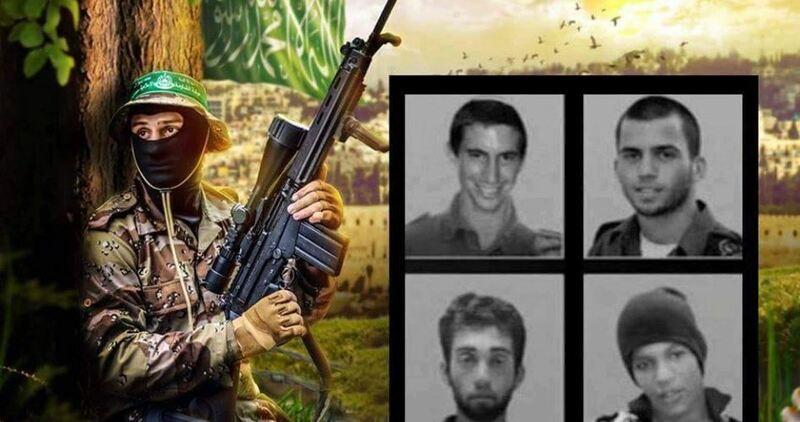 Al-Qassam Brigades, Hamas's armed wing, in early April 2016 announced that they were holding four Israeli soldiers, including two soldiers captured during the 2014 assault on Gaza. Al-Qassam Brigades at the time said that Israel would not get any information about them without "paying a price". 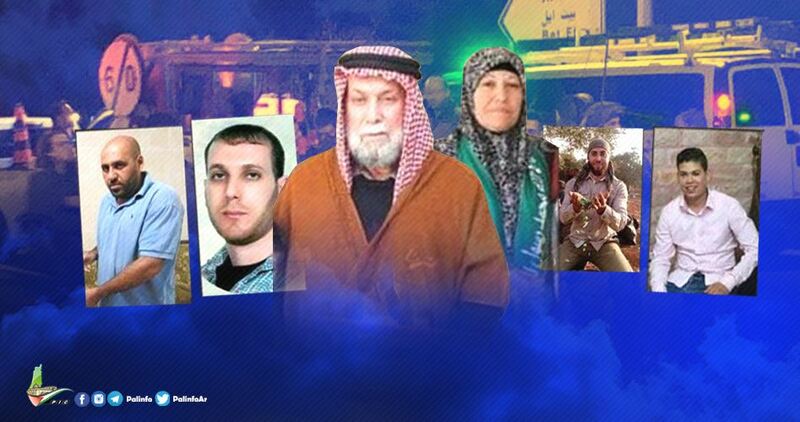 Hamas demands the release of the Palestinian prisoners freed in the Wafa al-Ahrar deal in 2011 and re-arrested later before it starts negotiations on a second prisoner swap deal. An Egypt-Germany mediated prisoner swap deal was concluded between Hamas and Israel in October 2011, based on which Israel released 1027 Palestinian prisoners in exchange for the Israeli soldier Gilad Shalit who was captured in Gaza in 2006. Israeli soldiers invaded, on Sunday at dawn, Kobar town, northwest of the central West Bank city of Ramallah, and handed the family of a slain son, and his detained brother, a military order for the demolition of their home. Media sources said dozens of soldiers invaded Kobar after surrounding it, and stormed the home of the imprisoned Omar Barghouthi, 66, the father of Saleh Barghouthi, who was assassinated by the army on December 12, 2018, and Assem Barghouthi, who was abducted by the soldiers on December 13th, 2018, along with his father. It is worth mentioning that Omar Barghouthi received a six-month Administrative Detention order, without charges or trial. The army claimed Saleh was allegedly “involved” in a shooting targeting colonialist settlers, in December of last year. Furthermore, the soldiers invaded many neighborhoods in Ramallah city, and several surrounding villages and towns. The soldiers also invaded Tal village, south of the northern West Bank city of Nablus, and installed a military roadblock in Bir al-Ghazal area, before stopping and searching dozens of cars, and interrogated many Palestinians while inspecting their ID cards. In addition, the soldiers invaded an area, near a gas station in Azzoun town, east of Qalqilia city, in northern West Bank, and confiscated a motorcycle, after detaining its owner.